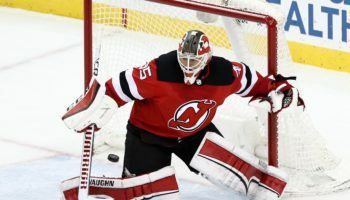 NEWARK, N.J. — The jeers that rained down from New Jersey Devils fans and directed at someone they used to call their own, Los Angeles Kings winger Ilya Kovalchuk, commenced even before he officially made a physical appearance on the ice on Tuesday, his name lustily booed when it appeared on the Jumbotron as one of the Kings’ starters. 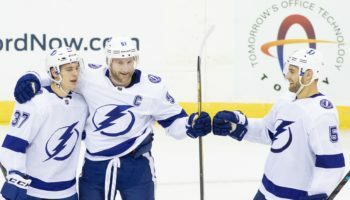 While the boos intensified with every appearance on the ice and every touch of the puck by Kovalchuk, the frustrations from the crowd about the Devils also grew, with the home team allowing three early third-period goals to send them to another defeat and continue a lackluster season. 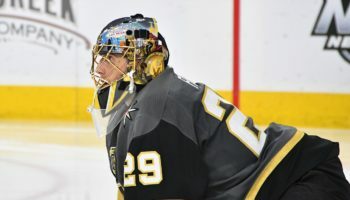 To add injury to insult, the unwelcome guest was the one who applied the finishing touch on a night to forget for New Jersey. Kovalchuk, who once starred for the Devils and helped to lead the franchise to their most recent Stanley Cup Final appearance in 2012, scored just before the final buzzer as part of a four-goal barrage by the Kings in the third period in a 5-1 victory over the Devils, Los Angeles’ second consecutive victory. Tyler Toffoli scored the first two goals of the third for the Kings in a 35-second span. After the 2013 season, Kovalchuk left the Devils and the National Hockey League altogether to continue his professional career in Russia, and, even though it is more coincidental than anything, the franchise’s downturn occurred not too long after Ilya’s departure. The six years away from the Prudential Center only served to harden the feelings of all Devils fans who had circled tonight’s game on their calendars once Kovalchuk signed with the Kings as a free agent this past offseason. One thing Kovalchuk ended up doing was reminding Devils fans of what they once had, scoring from the slot after teammate Anze Kopitar forced a turnover with 3:24 remaining to provide the game’s final goal. “I was actually happy that I scored. That’s the best answer,” Kovalchuk said. New Jersey had no answer at the beginning of the third period when a 1-1 tie became a 4-1 Kings lead in the first 1:52. Los Angeles took advantage of a power play opportunity when Toffoli also scored on a one-timer from a feed by Kopitar at 32 seconds of the period to break the deadlock. Toffoli then found himself open at the front of the net and converted on an odd-man rush at 1:07 to double the Kings lead. Just 45 seconds later, a Dion Phaneuf slap shot went off of the backside of Devils defenseman Egor Yakovlev and past goalkeeper Keith Kinkaid to end the competitive nature of the contest. 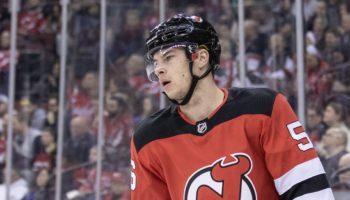 The first goal that New Jersey allowed was indicative of the kind of night it would have, as Damon Severson’s clearing attempt went off the skate of teammate Drew Stafford, keeping the puck in the Devils zone before Adrian Kempe scored 6:21 into the first period for the game’s first tally. A number of the Kings’ goals tonight came as a direct result of either Devils turnovers or missed assignments that allowed an open shooter to have a clear-cut opportunity at goal. New Jersey’s only goal of the game tied the score at 1-1 just 3:31 into the second period, when Jesper Bratt’s pass from behind the Kings net found Pavel Zacha, who slotted home his ninth goal of the season as Kings goalkeeper Jack Campbell was looking the wrong way. Campbell made 29 saves to win his first game since Jan. 17 in Dallas.